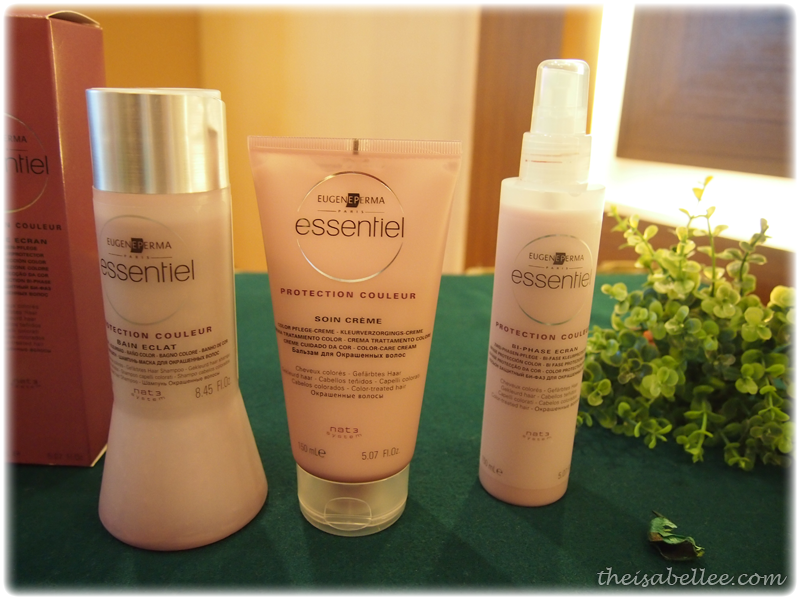 Essentiel products target hair and scalp problems. 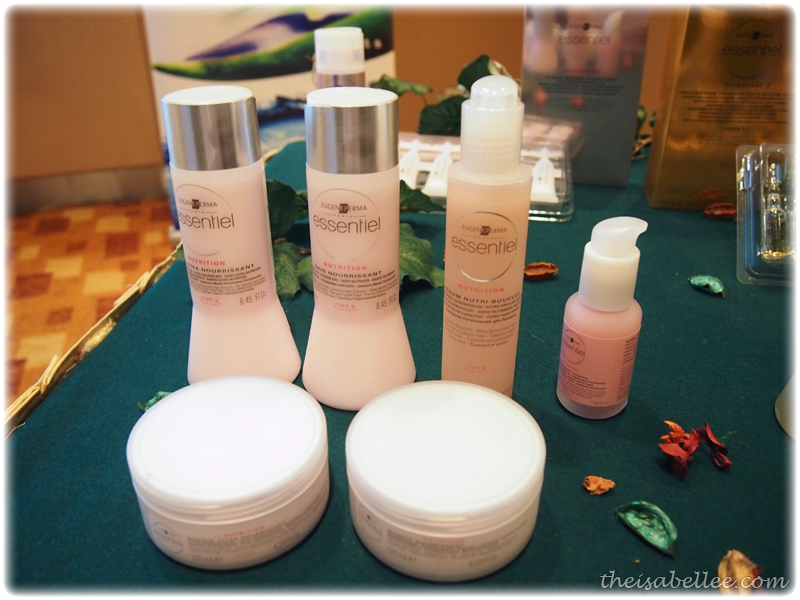 They use the NAT3 system which uses natural ingredients from plant, marine and mineral sources. 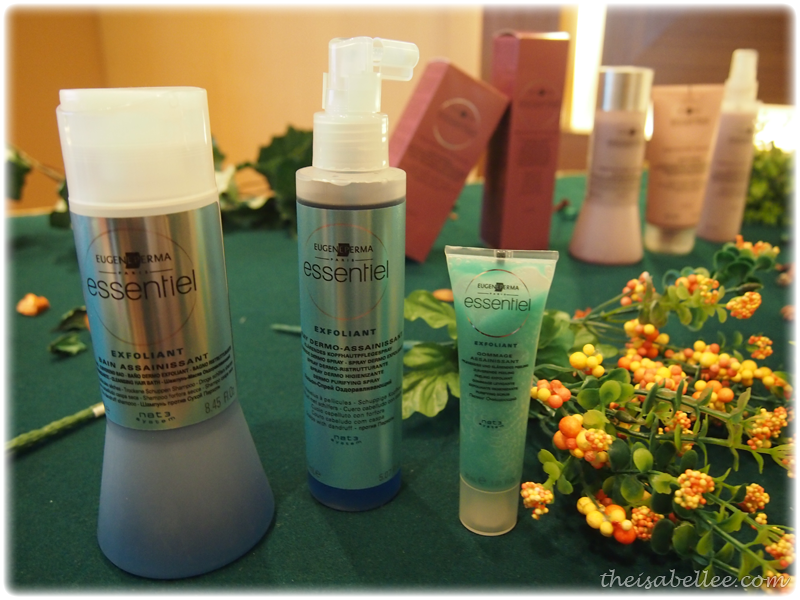 This is the Nutrition range, specially designed for sensitive scalp. Products are to be applied with a special An-mo massage which is relaxing and efficiently delivers the product ingredients into your hair for the best effect. 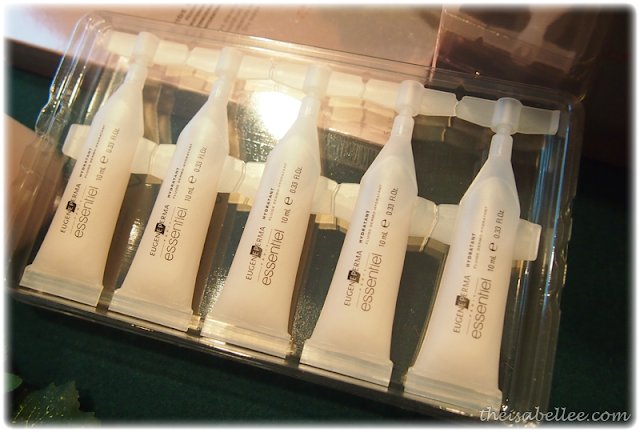 This is the Dermo Hydrating Fluid which should be applied to the scalp using fingers to control better. Recommended to apply before and after chemical treatments (here's to all you peeps who dye your hair often!). 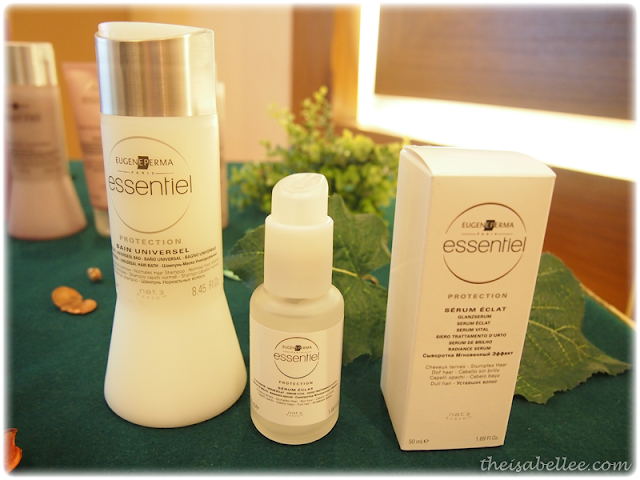 The purifying range fights scalp sebum. The hair bath (which is actually kinda shampoo) should be applied on a chair instead of having the customer lie down as this is more comfortable. 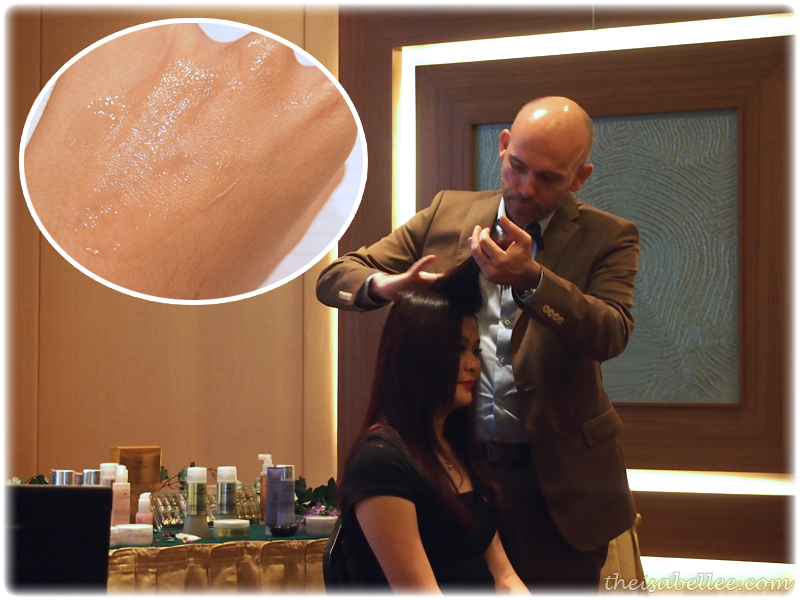 Use a brush to apply the product and massage gently for 3 minutes. 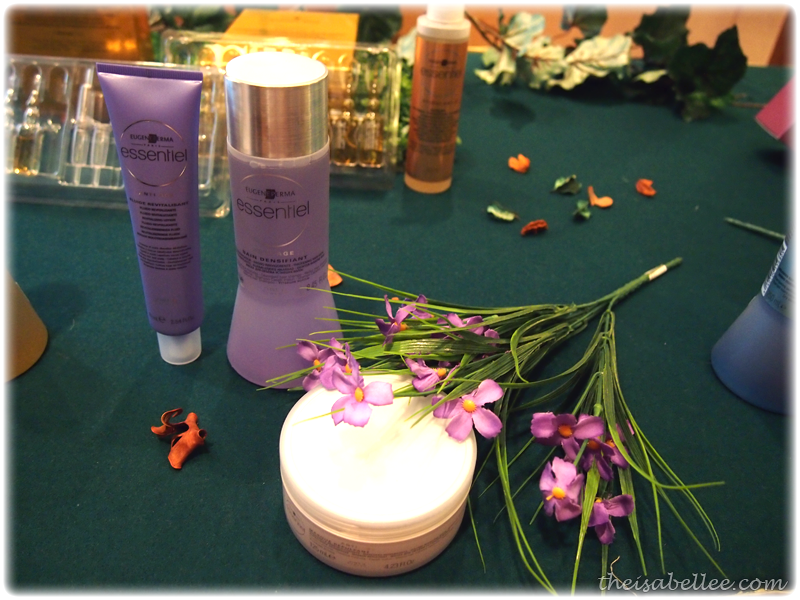 DO NOT massage harshly as it will actually stimulate more sebum production. The Dermo-Purifying Mask should be applied before shampoo. It has a greenish colour which reminds me of avocado xD Has a really fresh green scent. Then there's this interesting Dermo-Purifying Spray to spice up your haircare. Because I'm always paranoid of all my hair dropping off, my attention was caught by this Intensive Anti-Hair Loss Programme. Apply 3 ampoules a week at first and once a week to maintain. There is no waxy feel and it absorbs really fast. 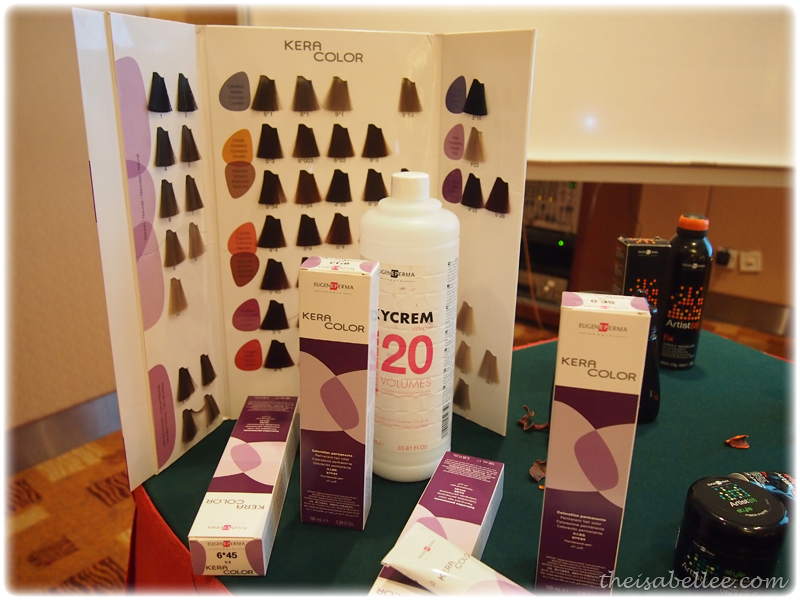 The Colour Protection range smells extremely lovely of sweet cherries! Protection range, which also smells of cherries. Anti-ageing range. You can use the lotion after hair dye as well. 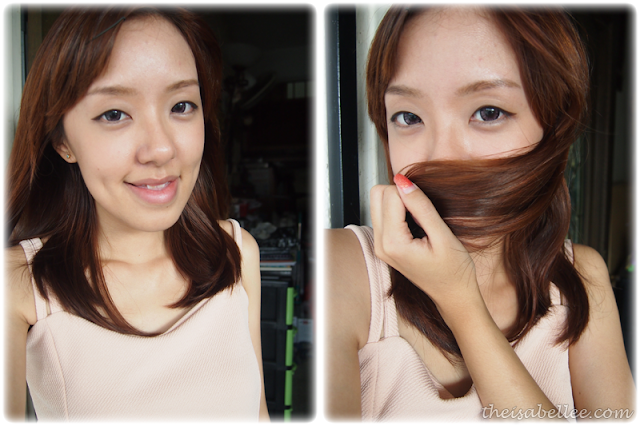 Then there's Kera Color which is simple, practical and efficient. 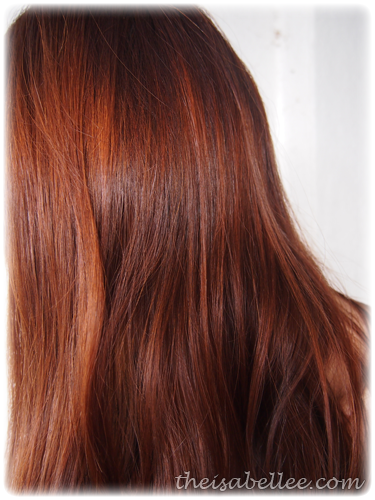 It contains less ammonia so it's less harmful, hair is shinier, colour lasts longer and it doesn't suffocate you. Micro coloring pigment ensures high colour penetration and even distribution. They even ensured that it has 100% perfect gray hair coverage. With 50 beautiful shades to choose from, you're spoilt for choice. 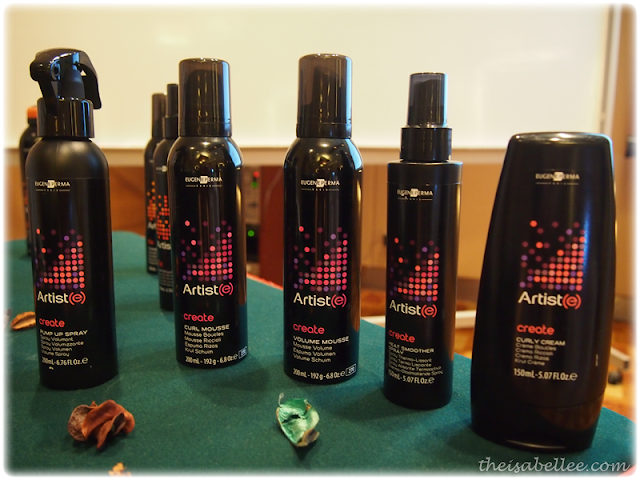 They even carry Artiste as the styling product line. 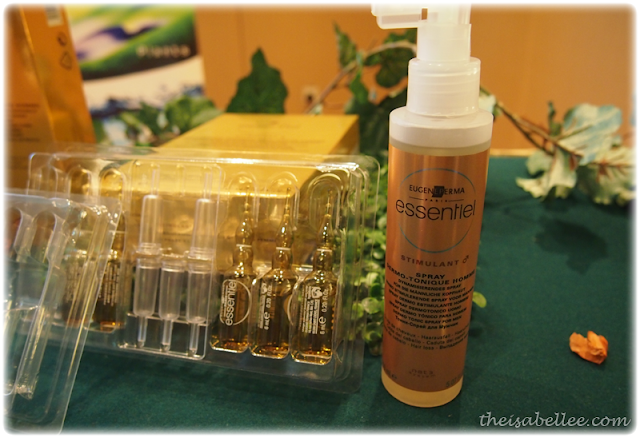 Infused with Vitamin E and patented fragrance, it aims to give you a feeling of well-being and happiness. Yup! You heard me right.. The smell makes you happy. How? Well, they contain an active ingredient which stimulates production of dopamine! It really brings out the colour and shine in my hair. The parcel will arrice infront of my house or i must pick them?